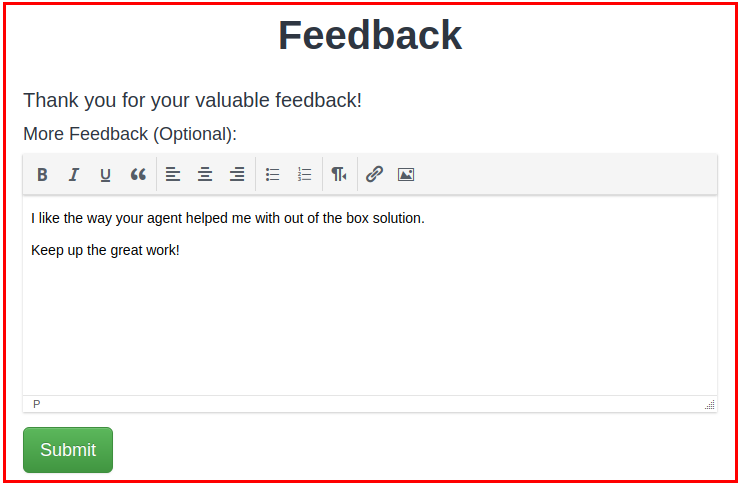 Customer feedback plays an important role in support sector. 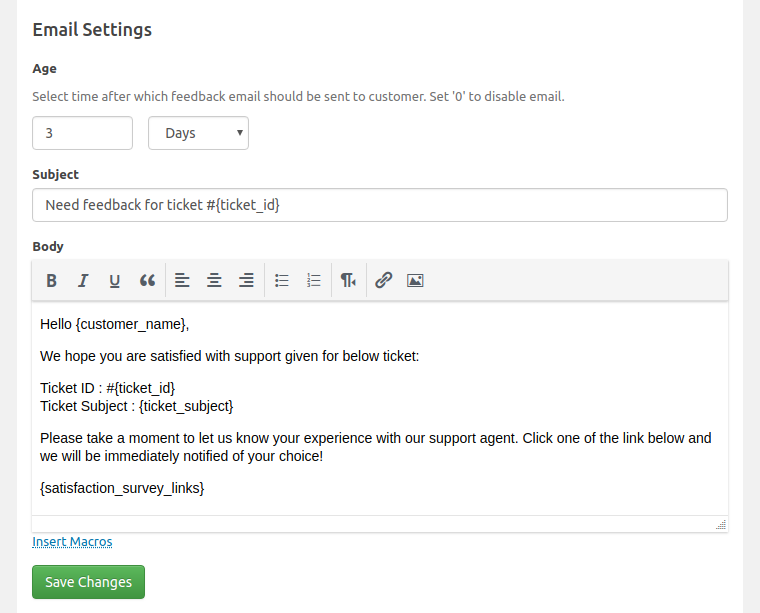 If you want to here your customers about their experience with you ( or your agent ) for support given in ticket, this add-on is for you. An email will get sent after x number of days/hours when ticket is closed. See below screen-shot of sample email. 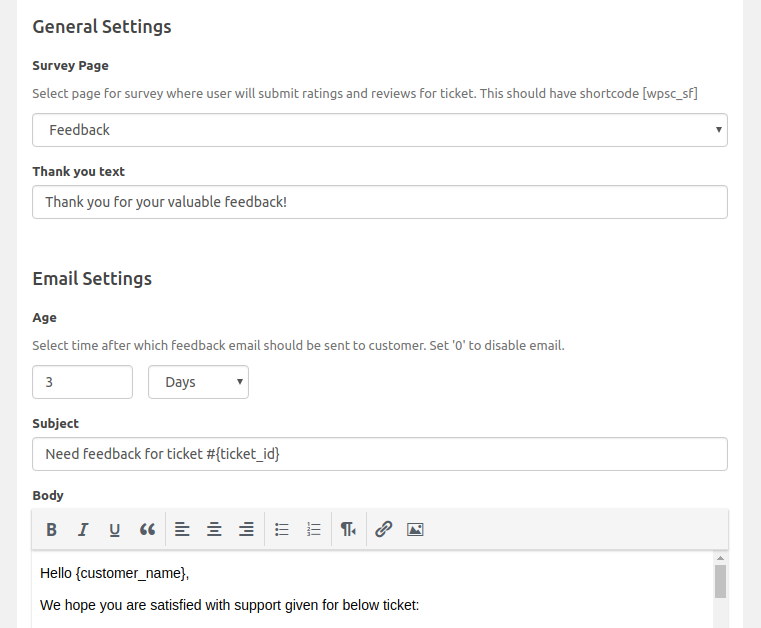 Rating widget and feedback is now available in ticket. Rating widget is only visible if ticket is closed. 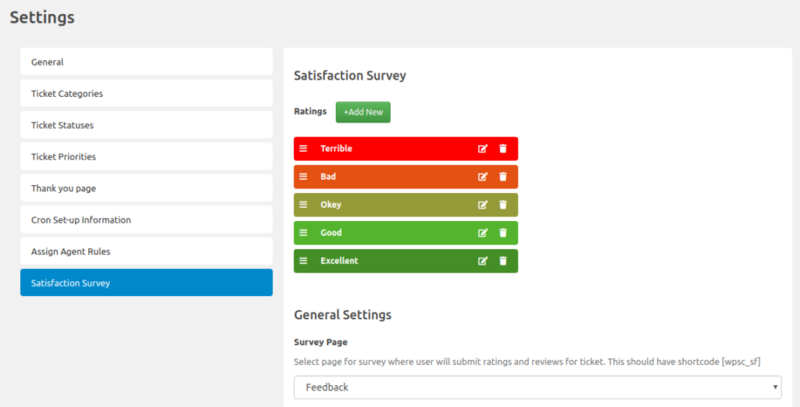 Further, you can show ratings in ticket list and also can filter tickets by rating. 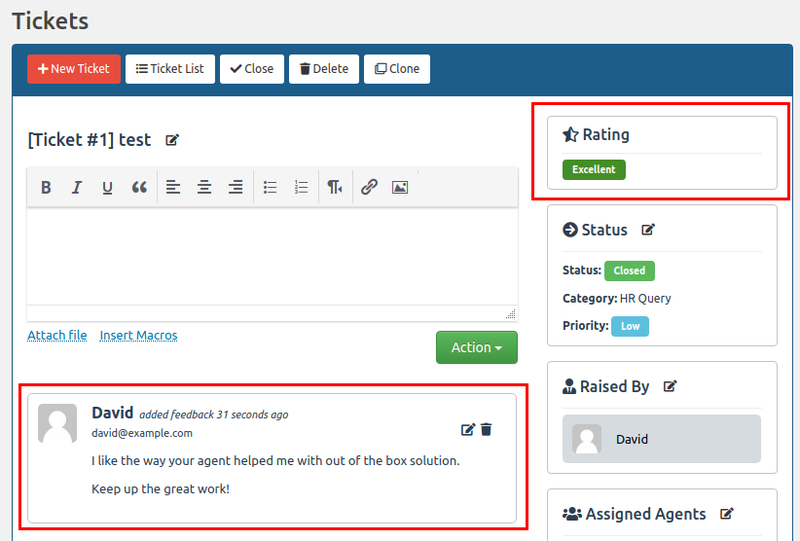 This will help you to check tickets for specific rating to analyse where your agents made mistakes or where they done well so that you can improve your support quality in future.